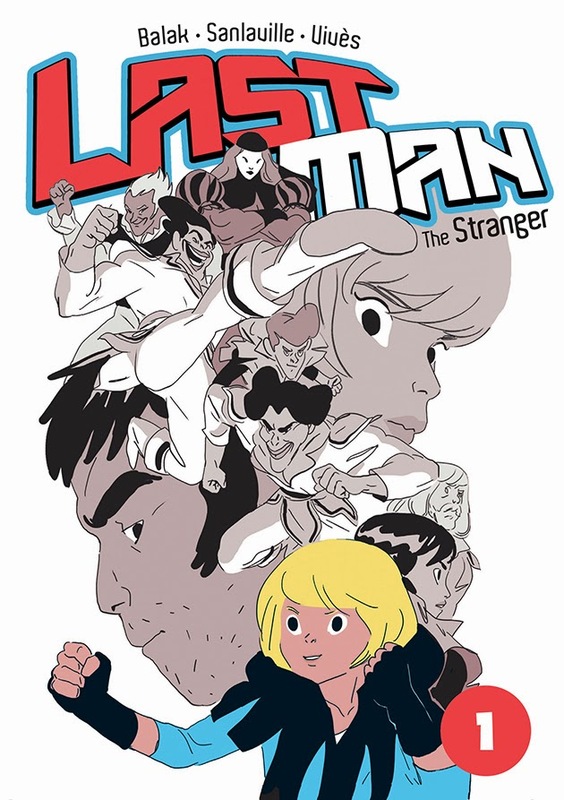 PICK OF THE MONTH: Last Man: The Stranger vol 1 by Bastein Vives, Balak, and Michael Sanalaville, First Second: I've been prattling on about Last Man before the news of First Second picking up the English language rights was announced, so my apologies if you're tired of hearing about it. The trio of authors involved Michael Balak, Bastien Vives, and Michael Sanlaville- is too exciting to pass up, and having seen it in the flesh, it's even more of an attractive prospect then it is on paper. Inspired by gaming and Japanese comics, specifically shounen manga, First Second are releasing the first 3 volumes of the series this year (with 3 to follow in 2016), and the first book centers around a martial arts school and a games tournament to determine who is the best fighter, with added intrigue of a mysterious stranger who quickly establishes himself as a serious contender. 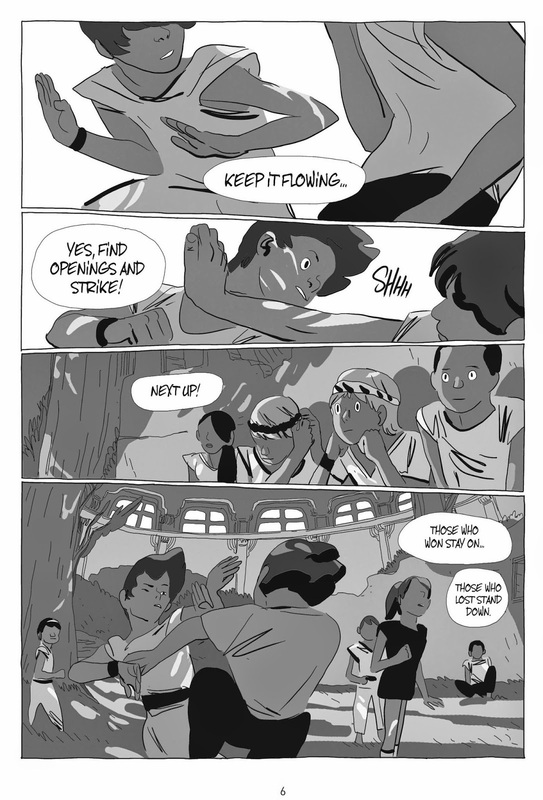 Promising to incorporate a rich fantasy adventure setting with character-driven storytelling and plenty of action sequences, expect kinetic illustration and an entertaining story. 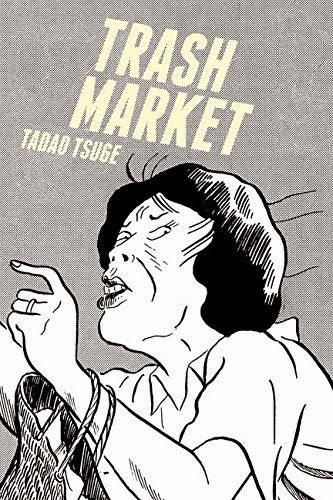 Trash Market by Tadao Tsuge, Drawn & Quarterly: I'm always interested and grateful to learn more about alternative manga via English language translations, and this collection of six stories from Tadao Tsuge, a key contributors to the legendary avant-garde Japanese comics magazine Garo during its heyday in the late 1960s and early 1970s, seems to fit the bill. renowned for his unpretentious journalistic storytelling and clear, eloquent cartooning. A mixture of auto, bio, journalistic reportage and fiction, the stories range from the charming lowlifes of the Tokyo slums, WWII veterans who found themselves unable to forget the war, to a piece on growing up in a Tokyo slum during the Occupation of Japan with an abusive grandfather and an ailing father, and finding brightness in the joyful people of the neighbourhood. 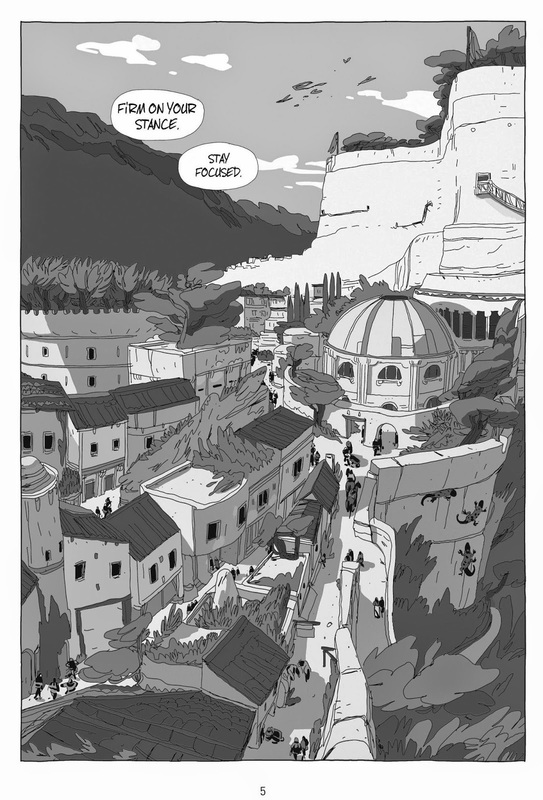 Aama vol 3 The Desert of Mirrors by Frederik Peeters, Self Made Hero: Peeters continues his ridiculously attractive sci-fi tale of an AWOL sentient science experiment: aama. Verloc Nim and his brother Conrad -the man of science and the sceptic- continue their planet-hopping, leaving Ona(ji) after seeing the amazing transformation in the planet's environment- a direct result of aama. This third volume sees mysteries deepen and the truth regarding aama even more beyond their grasp as reality begins to waver. 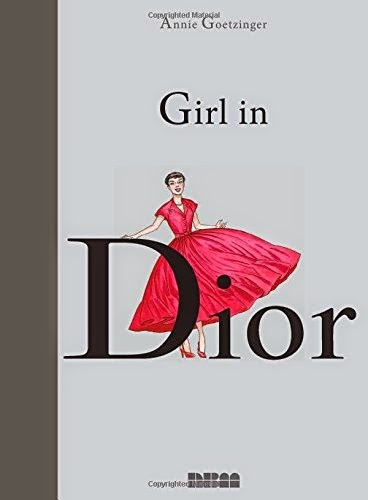 Girl in Dior by Annie Goetzinger, NBM: On the one hand, I love comics that encompass fashion and style, on the other hand I'm rather snobbish about the air-kissing, dubious world of couture and the means by which its built. Set in 1947, Goetzinger's biographical docu-drama follows Clara, a freshly hired chronicler and guide to the busy corridors of the brand-new fashion house -hand-picked by Dior to be a model- as the crème de la crème of Paris haute couture flock to see Christian Dior’s debut fashion show. In a flurry of corolla shaped skirts, the parade of models file down the runway and the mesmerized audience declares the show a triumph. Hit by Vanesa Del Ray and Bruce Carlson, Boom! 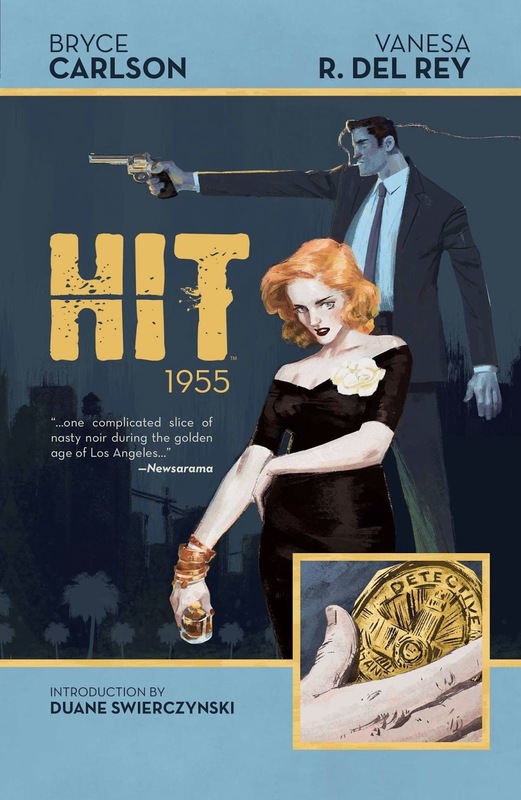 : I started reading Hit in issue format: Vanessa Del Ray's art seems purpose built for noir stories, and it's a genre I am very fond of. 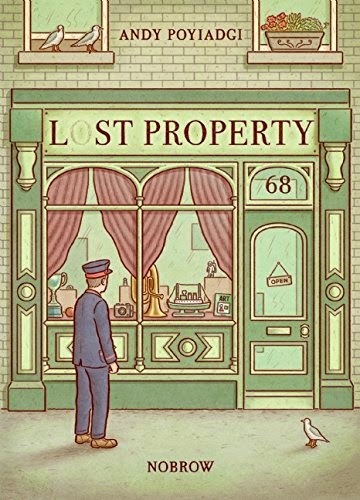 I gave up, having since realised serialised comics are not the domain of people who can't remember what they had for breakfast, so I'll be giving it another go now it's been collected into trade format. A 50's LA dark crime drama filled with murderers, rapists, and drug lords...and the men who will stop at nothing to bring them to justice. 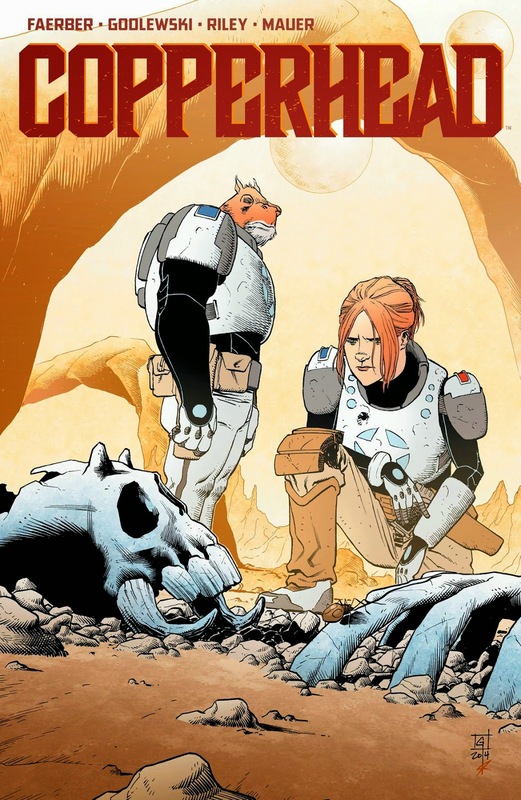 Copperhead by Jay Faerber, Scott Godlweski, and Ron Riley, Image: I believe I'm writing in saying a preview/excerpt of this ran in an FCBD comic last year, which is when I read it. I recall enjoying what I read, and will be picking this trade which collects the first 5 issues. A sci-western set in the grimy mining town of Copperhead sees new sheriff Clara Branson dealing with a hectic full-on first day on the job: a resentful deputy, a shady mining tycoon, and a family of alien hillbillies. And a massacre. All under the suspicious eyes of the townspeople as they size her up. Last Man was really good, I'm looking forward to when I can post a full review. Was every bit as enjoyable as you'd been saying. I think you will dig Copperhead, I enjoyed reading it issue by issue. 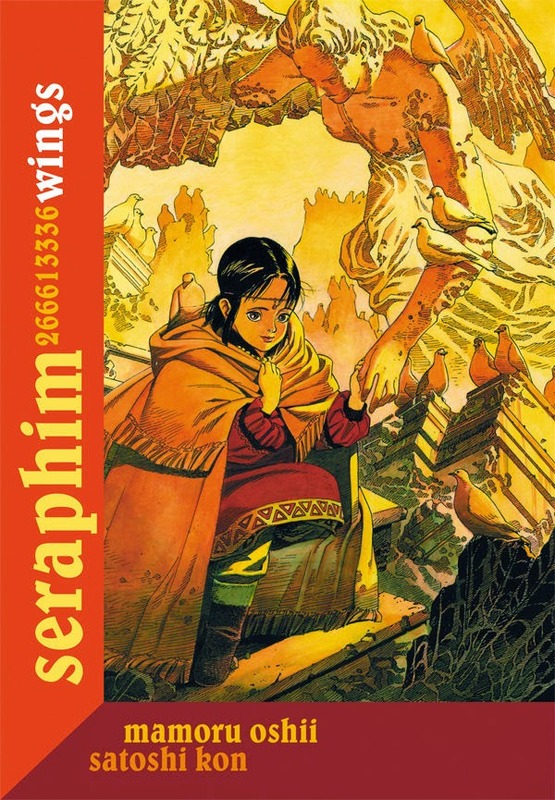 Very solid premise, and the art really nails the setting and the characters.